KEEPS FOOD WARM OR COLD FOR UP TO 4-5 HOURS: Vacuum-insulated, leak-resistant lunch box that will keep your home-cooked meals warm, fresh and ready to eat without the need for added heating or refrigeration. 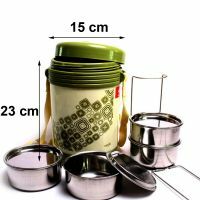 CONVENIENT: (4) spill-proof containers allow you to carry up to 4 food varieties without mixing. 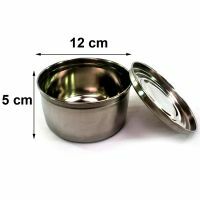 Great size for a hearty meal while leaving room for snacks or a dessert. 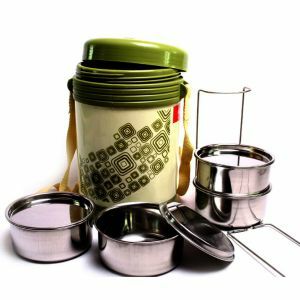 ADVANCED TECH: Tiffin is the most advanced thermally insulated lunch box in the world. 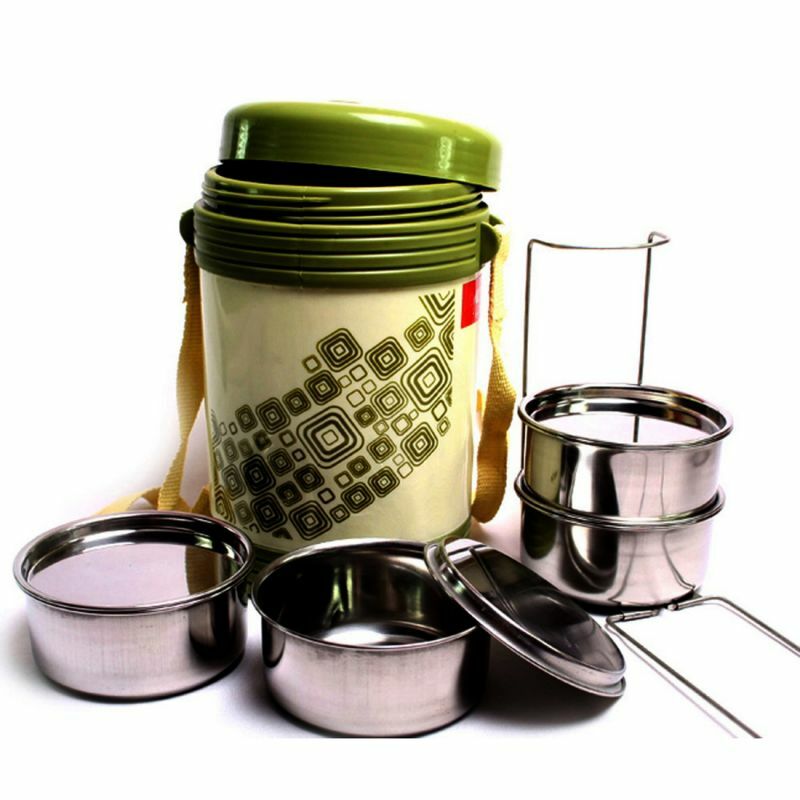 It was designed using state-of-the-art technology to make sure your food stays the way you like it, whether warm or cold, to prevent spills, and fit easily in your bag. 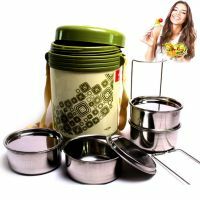 SAFE AND ECO FRIENDLY: BPA-free, non-toxic, leak-resistant containers that are top-rack dishwasher safe. ANYWHERE ON THE GO: You no longer have to worry about storage in the refrigerator or waiting for the microwave. 1 X Tiffin Dabba Box .